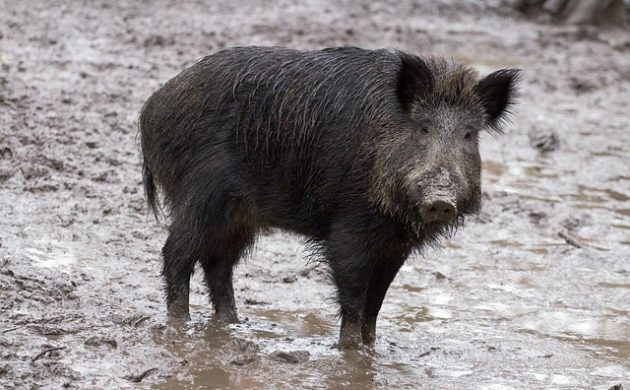 The rising number of wild boars being hunted in the Schleswig-Holstein region of Germany has increased fears they will continue their march through Germany and across the Danish border. According to Flensborg Avis, nearly 14,000 wild boars were killed in Schleswig-Holstein between 2014 and 2015 – an increase of 50 percent. A combination of mild winters and an abundance of food has given wild boars in South Schleswig optimal conditions in which to multiply, which increases the risk that the animals will spread to Denmark. “An increase in the number of maize fields and mild winters has increased the numbers of animals,” said Christiane Holländer, the head of Schleswig-Holstein’s board of hunting and forests. Hollander said that wild boars “do not stop at the border” and are spreading throughout Europe. She said that although wild boars have yet to be spotted in the Danish countryside, it was “likely” that they would show up eventually. Many experts are advising that the Danish swine industry should prepare for the challenges that the wild animals might bring. Pig farmers are particularly concerned about the risk of African swine fever, which is found in wild boars in eastern European countries such as Poland. “We should not have wild boars in Denmark,” said Henrik Mortensen, the head of the pig farmer organisation Danske Svineproducenter.